Instrumental in shaping the VAN Blog and website. Got VAN on Social Media and posted regularly on it. Held a leadership role on the VAN Conferences, serving on the conference committee, as a conference chair for several years, and as a regular workshop facilitator. Brought VAN into the national spotlight as a national workshop presenter for volunteer management conferences across the country. Brought other nationally known leaders in Volunteer Management to the Seattle area. Andy Fryar of Australia in 2013 and Rob Jackson of Great Britain in 2014 came to VAN and presented as a result of Nikki’s advocacy. Coordinated and led a Volunteer Management Summit in 2014 that had far reaching impact. Served as a tireless advocate for volunteers and volunteer administrators with local non-profits, governments, United Way and the State of Washington. Nikki Russell, CVA, is a seasoned professional and leader in the field of volunteer resources management, delivering workshops regionally and nationally that promote the strategic advantage of effective volunteer engagement. Nikki recently accepted a position with United Good Neighbors of Jefferson County as the Director of Development and Community Engagement, leaving her 7-year tenure with United Way of King County as the Volunteer Initiatives Manager. At United Way, Nikki managed and delivered the volunteer resources management training series. She was the lead trainer and consultant for the Volunteer Impact Program, (VIP) a grant funded volunteer management capacity building program implemented locally for nonprofit organizations. Nikki served as the Chair of Steering Committee of the Volunteer Administrator’s Network (VAN) Northwest for five years and as VP of Marketing on the Board of the Association of Leaders in Volunteer Engagement (AL!VE) and as a Board Member of the Council for Certification in Volunteer Administration (CCVA). Her non-profit background includes 19 years of experience in program planning and volunteer resources management. She holds a Master’s degree in Anthropology from Boston University. Nikki is not leaving VAN. She will extend the reach of VAN and other professional organizations across the state through her involvement in the Volunteer Centers of Washington. She will also continue to be involved as a blogger and on social media for VAN NW, but now that her home and work is in Port Townsend, we won’t get to see her quite as often. Thank you, Nikki, for the incredible legacy you leave us locally. We will look forward to seeing you continued impact statewide and nationally. 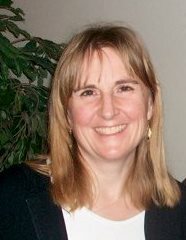 Lisa Yeager has more than 15 years experience in Volunteer Management. She has lead volunteers at the Bellevue Art Museum, WACAP, Hopelink, Encompass, Autism Speaks (Walk Now for Autism), and the Sno-valley Senior Center. She has won the DuFort Award for Volunteer Management, and Program Manager of the Year in 2000. She is currently Treasurer and conference chair for VAN. This entry was posted in Monthly Newsletters, VAN NEWS, VAN Spotlight. Bookmark the permalink. Nikki has been a great asset to the VAN Steering Committee. She has worked tirelessly to turn a group of busy, distracted, distant volunteer management professionals into a working board that is accomplishing greater things every year. Because of Nikki, VAN NW is a respected professional organization that is advancing our industry and mentoring newcomers. I hope (and believe) that Nikki will continue to loan us her expertise and passion for many years to come!